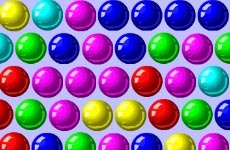 You have as many as 20 levels in this fun filled online game. Use the mouse to drag and hit certain walls to destroy them. For each block that you destroy, you will be awarded scores. Your main aim should be to score as many points as possible to put up a high score. Have fun playing through the various levels of the game.